Vazhaithandu Soup | Banana Stem soup | Plantain Soup Recipe with video and with step by step Instructions. 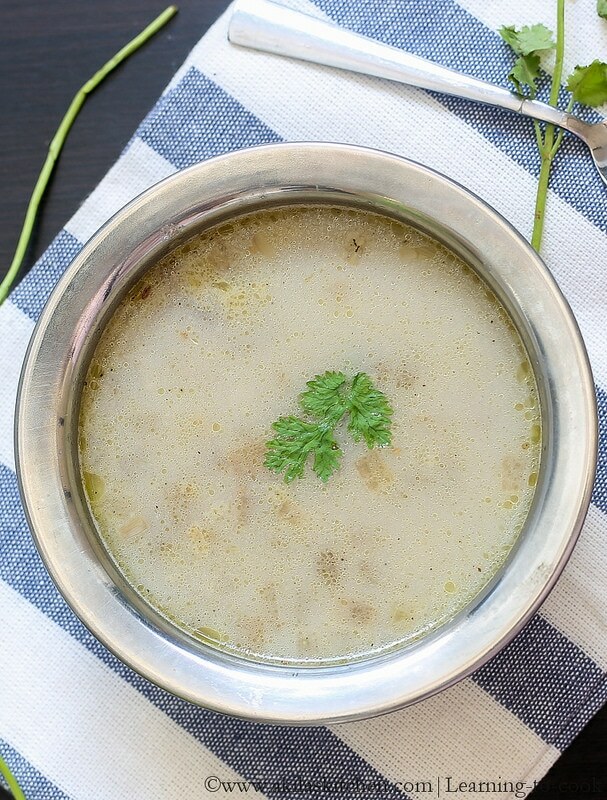 Vazhaithandu soup or the Banana Stem soup is a healthy soup which is used for weight loss, digestive issues and kidney stones. 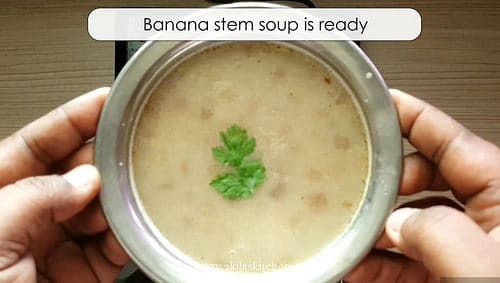 Let us learn the Vazhaithandu Soup | Banana Stem soup | Plantain Soup Recipe with video and step by step Instructions. 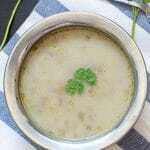 This healthy soup is very good for health and very easy to make. I used to drink this Vaazhaithandu Soup near my house and they used to add the crispy spicy corn flakes on top of it and it will be burning hot. It just costs 10 bucks and I love that soup so much and it tastes awesome. 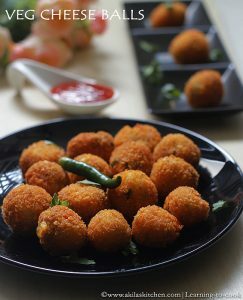 Though I am unable to get the same taste with this recipe, i still loved this recipe taste. 1. 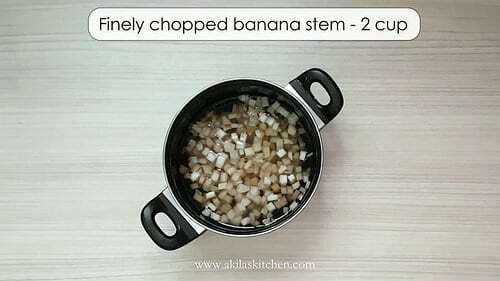 Clean and chop the banana stem in to small pieces and soak in butter milk or in water with turmeric. 2. Transfer half of it to food processor. 3. Add 1 cup water and grind it in 2 to 3 intervals. Strain the water nicely and collect in a bowl. 4. 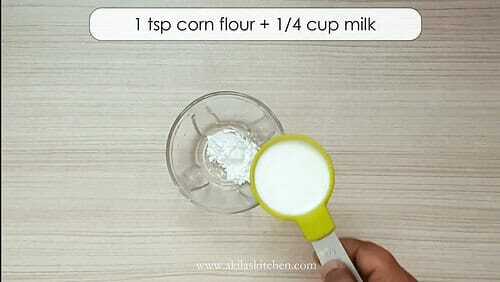 Also mix cornflour and 1/4 cup milk together and keep aside. 5. In a pan, add butter or olive oil. 6. Add cumin seeds and fry for a min. 7. Add the chopped remaining 1 cup banana stem and fry for a while. 8. 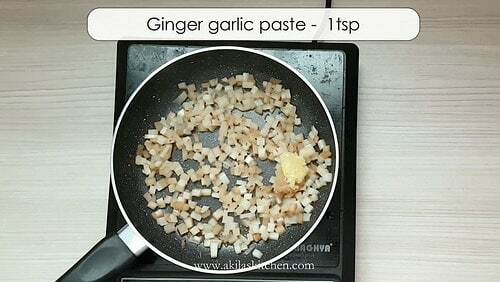 To this add 1tsp of ginger garlic paste. 9. 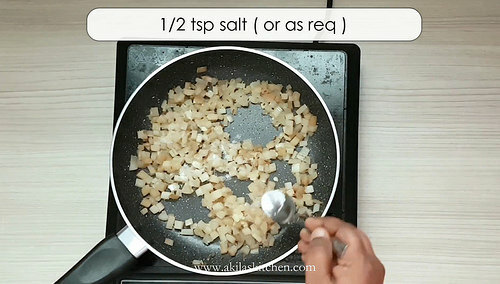 Add salt as per taste and saute for 4 to 5 min. 10. 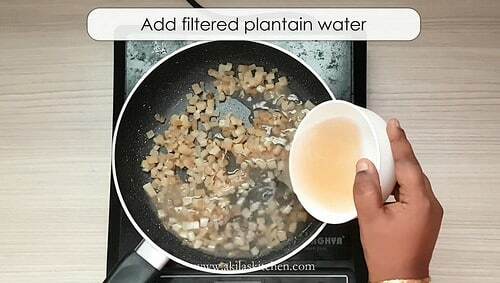 Add the filtered banana stem juice and cook for 8 to 10 min or until it gets cooked nicely. 11. Check if the banana stem is cooked or not. 12. Now add the corn flour and milk mixture. 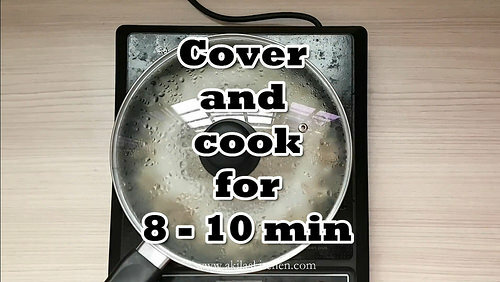 Allow to boil for 3 to 4 min. 13. Add pepper and salt as per your taste. 14. Healthy and tasty banana stem | Vazhaithandu Soup is ready. 1. If you like you can add finely chopped onion and saute it along with Vaazhaithandu. 2. If you like more spicy, you can add a green chilli. 3. 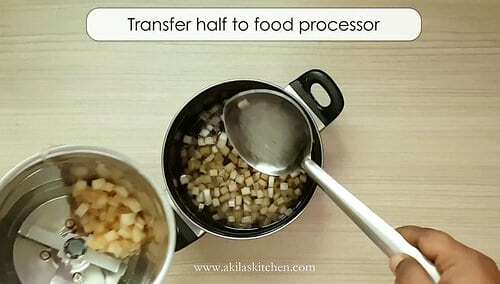 Also you can add veggies of your choice like finely chopped carrot, beans, corn, peas etc. 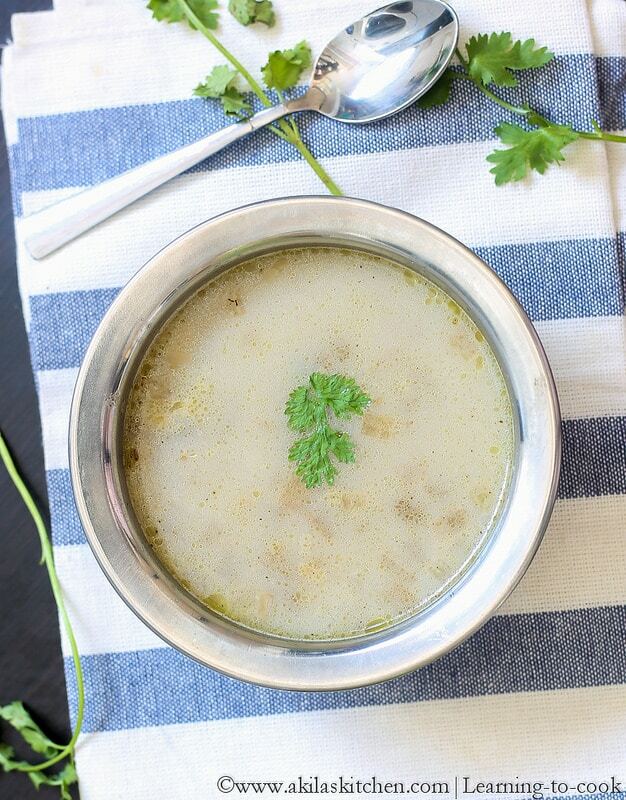 Vazhaithandu soup or the Banana Stem soup is a healthy soup which is used for weight loss, digestive issues and kidney stones. Clean and chop the banana stem in to small pieces and soak in butter milk or in water with turmeric. Transfer half of it to food processor. Add 1 cup water and grind it in 2 to 3 intervals. 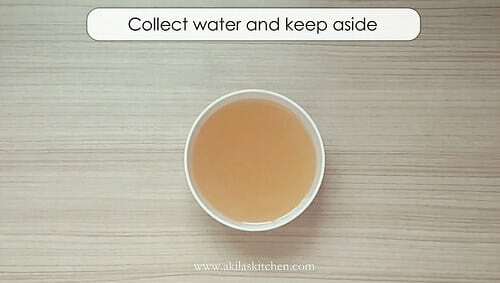 Strain the water nicely and collect in a bowl. 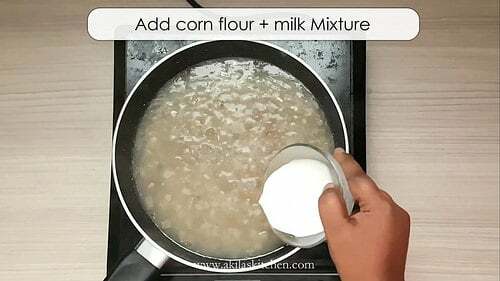 Also mix cornflour and 1/4 cup milk together and keep aside. 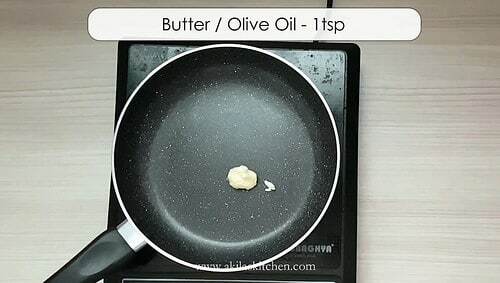 In a pan, add butter or olive oil. Add cumin seeds and fry for a min. Add the chopped remaining 1 cup banana stem and fry for a while. To this add 1tsp of ginger garlic paste. Add salt as per taste and saute for 4 to 5 min. 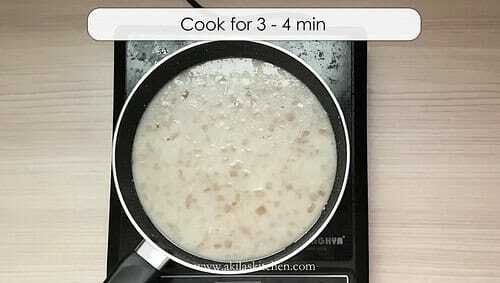 Add the filtered banana stem juice and cook for 8 to 10 min or until it gets cooked nicely. 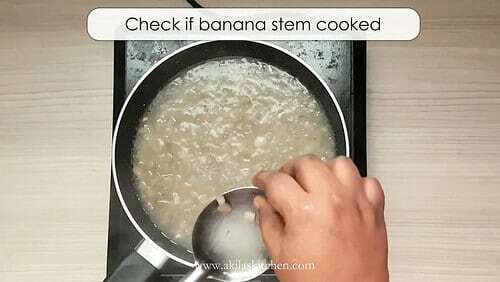 Check if the banana stem is cooked or not. Now add the corn flour and milk mixture. Allow to boil for 3 to 4 min. Add pepper and salt as per your taste. Healthy and tasty banana stem | Vaazhaithandu Soup is ready.